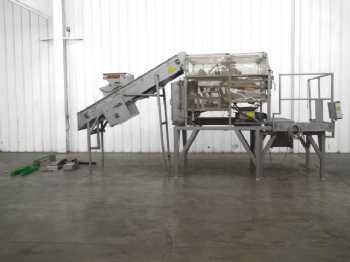 This type of scale uses multiple or single weigh buckets to measure a product. When a weigh bucket reaches the desired weight, it will discharge. A multiple linear bucket scale allows the buckets to be discharged quickly, one after the other, as they reach their weight. Buckets can be dropped mechanically or pneumatically.